Most of Lima is formed by means of the invasion: occupation of of government owned land. Peruvian law allows that in time the invasion becomes property. The vast majority of the invasionis done by immigrants from outside Lima that need a place to live. But already well to do citizens use the invasion law as well for personal gain. They invade a piece of public space, make some improvements and claim it as their own. 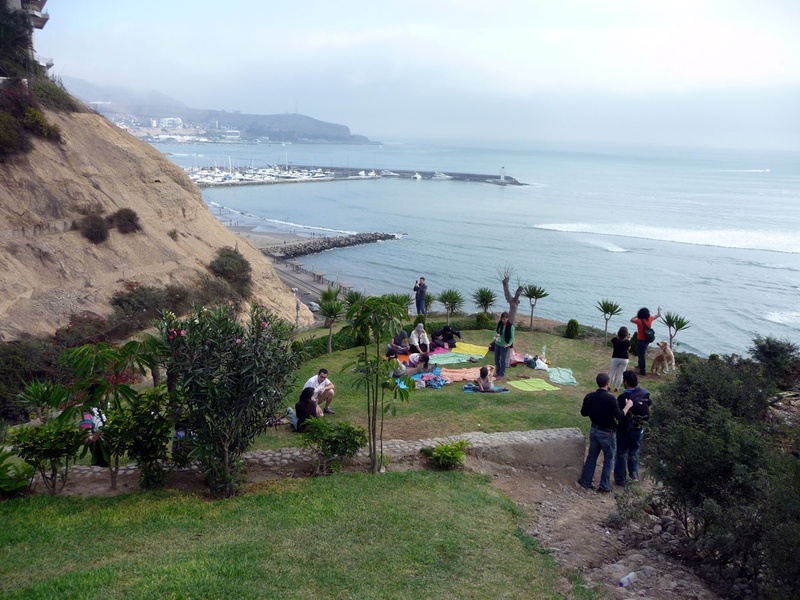 This was the case with this piece of land in Barranco. Public space with a stunning view. A local restaurant owner has put plants and a fence and wants to have it. How to prevent this? Claim it back! Together with a group of active citizens we came up with the name Invasion Civica and organised a public event: a picnic with music. Watch the video and see what happens!